Brief Synopsis – A psychiatric patient and a conman get together after one of them is mistaken for a lost millionaire. 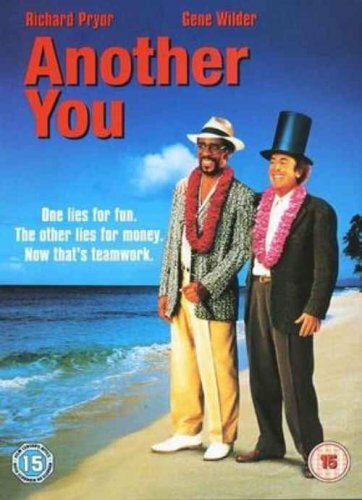 My Take on it – Richard Pryor and Gene Wilder collaborated on 4 movies during their careers and this was the final one. The started with Silver Streak (1976), Stir Crazy (1980), See No Evil, Hear No Evil (1989) and finished off with this one. Unfortunately, this was the worst of their collaborations and just isn’t as funny or entertaining as any of the others. The story moves along super slowly and it’s all quite boring the whole way through. The characters aren’t interesting at all and I constantly had an urge to wish they would be more entertaining. This movie does have one bright spot along the way and that is Kevin Pollack who keeps popping up in numerous scenes doing impeccable impressions of various famous people. It’s quite sad that this will always be known as the final collaboration between these two comic geniuses especially since I believe their previous film was spectacular. Nothin’ like going out at rock bottom!! Bottom Line – Worst of the Wilder-Pryor collaborations and just doesn’t manage to bring the laughs like the previous ones do. The story moves along a bit too slowly and the characters just aren’t as interesting as we would like them to be. The best part of this film are the times where Kevin Pollack appears doing some of his best impressions of famous people. Nothing like going out at the bottom!